Best Free Coworking WordPress theme builds with Genesis Framework, emplacements supported by Geodirectory plugin with user review, Responsive Layout, Easy to Customize! This Coworking WordPress theme provides you with the best quality of design with full of necessary features to build a perfect working space website, which is eye-catching and meeting all visitors needs, including share company information, showcase highlight activities, attractive workspace package,…and more. 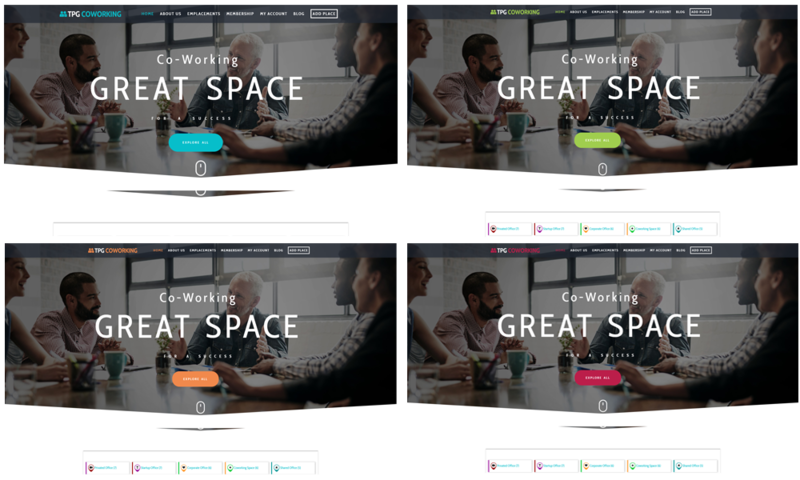 TGP Coworking is a premium WordPress theme with modern and stylish design which will be suitable for creating beautiful coworking spaces for any business types and workspaces, studio spaces. TPG Coworking has been created by experienced web developers in the latest website technologies, high-quality images and stunning background colors, it helps to display your site content with nice organization in the best esthetic way. Everything works out of box, so there is no doubt for you to enjoy the greatest experience while developing your site. Especially, the Coworking WordPress theme integrates with Geodirectory plugin that supports visitors to find your place easier, and Woocommerce is available for serving all selling activities on your site, moreover, it is easy to customize as well by a powerful admin panel. Using Page Builder by SiteOrigin, TPG Coworking will make you proud of your site by its fully responsive layout that performs properly on any mobile devices and PC screen. Don’t waste your time go around and find for any other theme, because TPG Coworking will adapt everything you need!